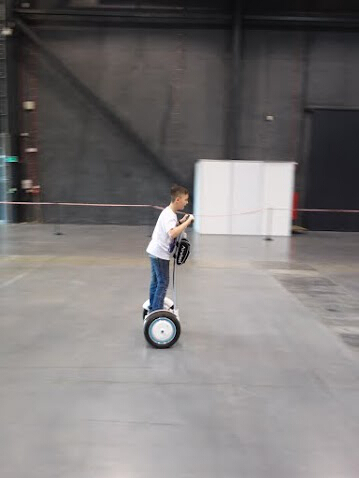 Abstract: From April 11 to 12, the world renowned electric unicycle brand Airwheel brought its full range of self-balancing electric unicycles/scooters to display at the Bike Trade Show 2015 held in Gdansk, Poland. 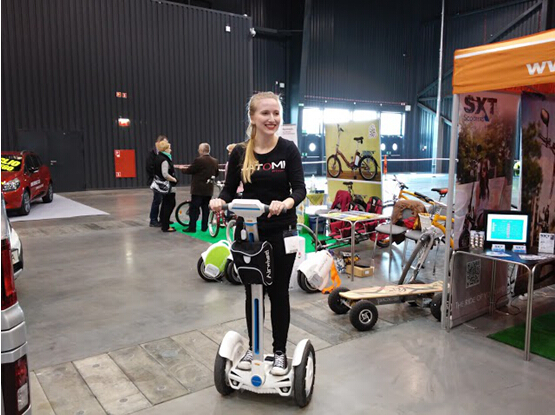 The world renowned self-balancing electric unicycle brand Airwheel was highlighted at the Bike Trade Show 2015 held in Gdansk Poland from April 11 to 12. The Airwheel Technology brought to customers its latest products ranging three series, namely the single-wheeler X series, the dual-wheeler Q series, and the two-wheeled scooter S series. The new flagship model is the Airwheel S3, which is a classical two-wheeled scooter weighing only 22.4kg. The S3 is a fully functional model featured with a 4-inch LED panel, streamlined HMI design, light and solid magnesium alloy frame, dual precaution systems and built-in Bluetooth. Once step on this intelligent scooter, one can get the hang of it and enjoy its convenience almost instantly just by leaning the body forward or backward. The Airwheel S3 is definitely a cool and green attention-getter. At the exhibition, visitors are free to experience all Airwheel products. It was not the first time that the Airwheel appeared in such exhibitions. As an intelligent personal gadget, the Airwheel is a combination of personal transport and recreation device that is both environmental-friendly and energy-efficient. The Airwheel as a leading brand in global intelligent electric scooter market, has always been committed to providing customers with the top-quality and cutting-edge self-balancing products. Presently, the flourishing Airwheel is blazing a path to a bigger international market. If you are a gadget geek or interested in green transport, you can’t miss the chance to try the Airwheel for yourself.